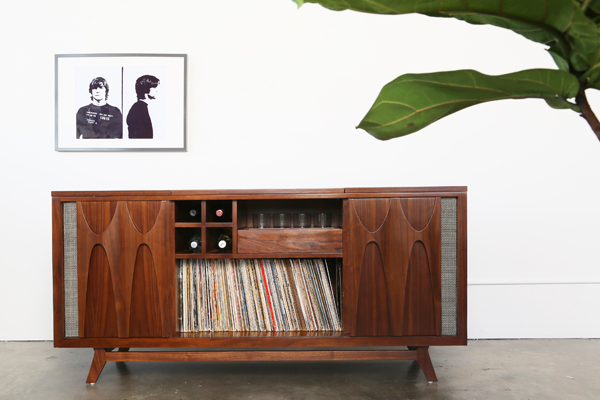 The EGB2 record and whiskey console by Luno, hand-made from American walnut, can store four bottles and up to 150 LPs. Mixing old-fashion flair with modern technology, it hides a 6.5-inch woofer and supports music streaming with Apple’s Airplay. Built to order (prices vary with specs) in the USA, turntable and gold-rimmed glasses included.